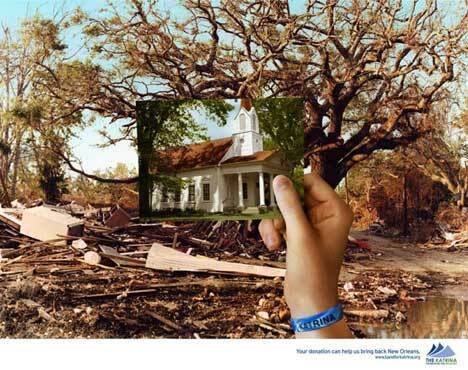 Katrina Foundation for Recovery launched a newspaper and poster campaign in June 2007 in an effort to raise awareness and funding for the ongoing recovery efforts from Hurricane Katrina. 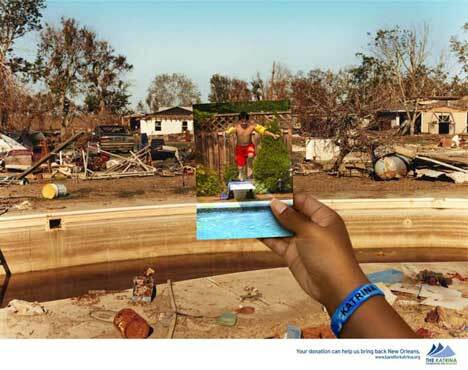 Three print advertisements show hands holding photographs of a bus, church and swimming pool in pre Katrina New Orleans in contrast with the present state of the city. 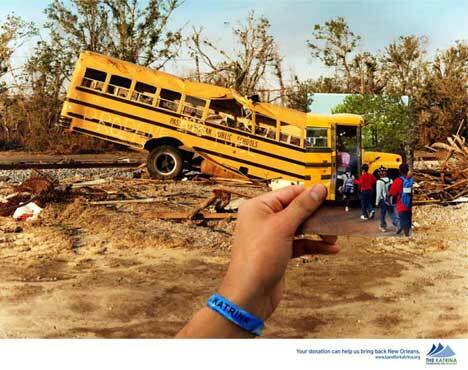 The advertisements show the photographers wearing blue wrist bands, with the word “Katrina”, sold for $5 to raise funds and awareness. 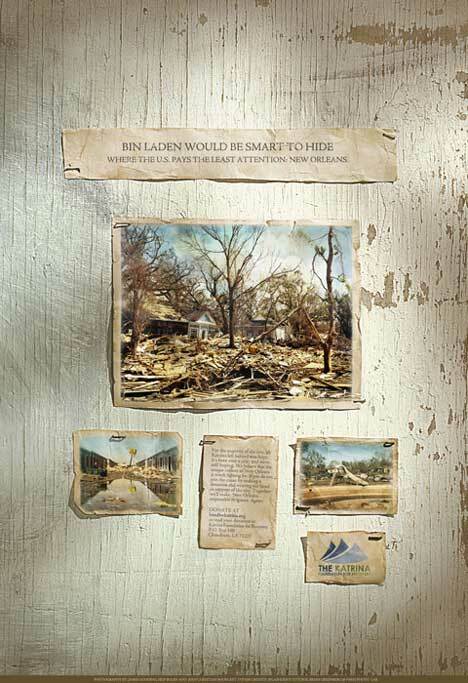 Two posters provide ironic twists to the campaign. 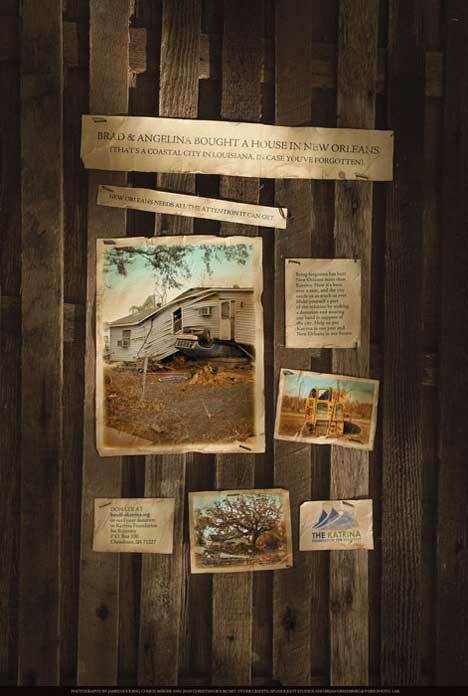 One announces that Brad Pitt and Angelina Jolie have bought a home in New Orleans. “A Coastal City in the state of Louisiana in case you’ve forgotten. New Orleans needs all the attention it can get!” Another suggests that Bin Laden’s best hiding place would where the US pays the least attention: New Orleans.